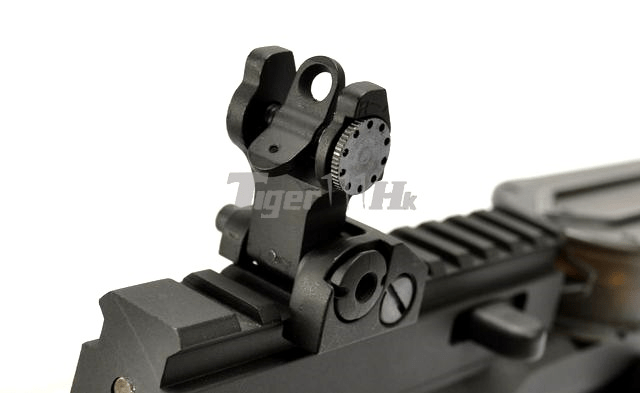 – PTS RM4 ERG (ERG = Electric Recoil Gun) Series is the newest AEG Series targeting for both airsoft game and realistic training. – Ready to go for 400 – 420 FPS without modification. 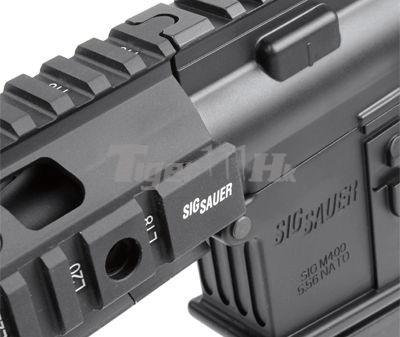 – SIG SAUER marking is authorized by Cybergun company . 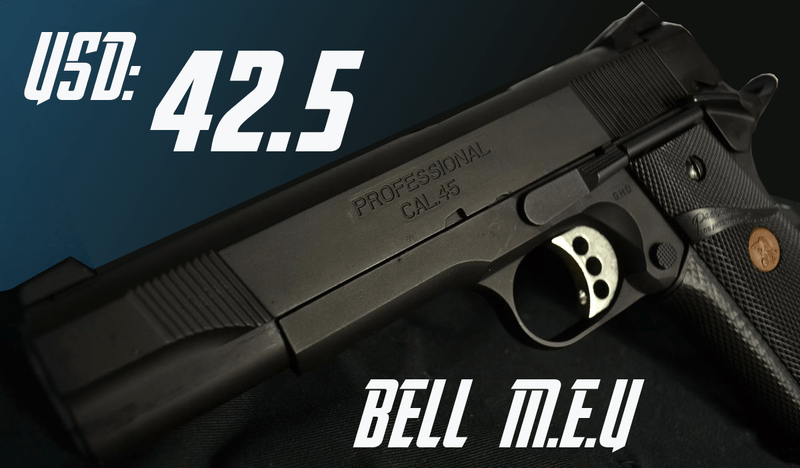 – CQB Version with a 10.5 inch barrel, similar to M933 / M4 CQBR. 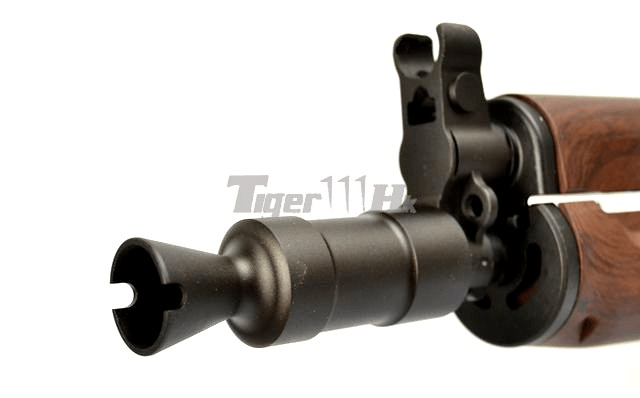 – Compact Version with a 7 inch barrel. 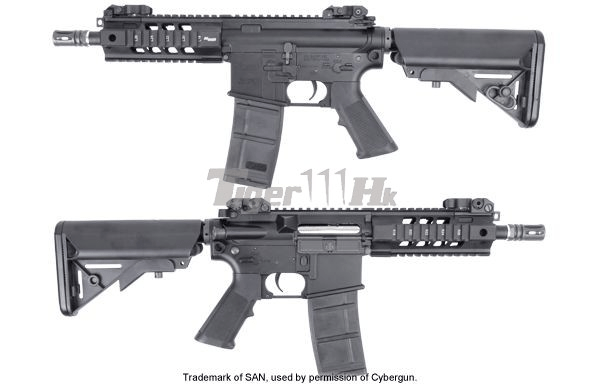 – Patrol type Assault Rifle with a 14.5 inch barrel, similar to the normal M4A1 Rifle. 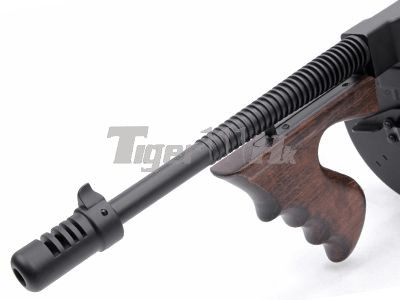 M1928 SMG is the first type of the Thompson SMG widely used by US Navy and US Marine Corps from 1930s. 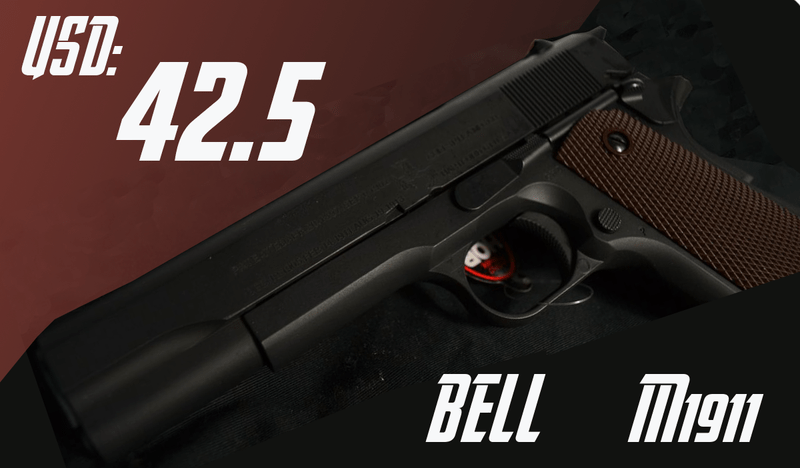 It was the enhanced version of the M1921 which comes with a weight added actuator for slow down the cycle rate of fire. It was used by US army, FBI and law enforcement until 1970s. 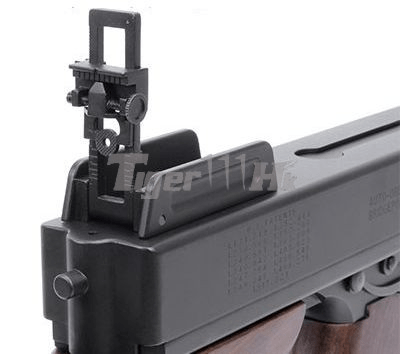 The Thompson Marking on the M1928 EBB is all licenced by Cybergun. Realistic outlook of the real M1928 Thompson SMG. 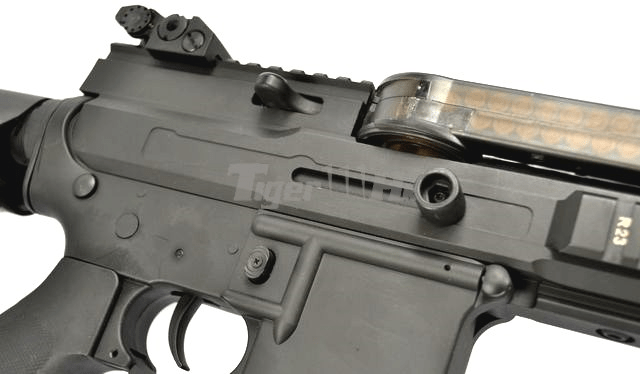 T-57 is originally a PDW type upper receiver for M4 / M16 Lower receiver, which is designed for firing 5.7x28mm round from standard P90 Box magazine. 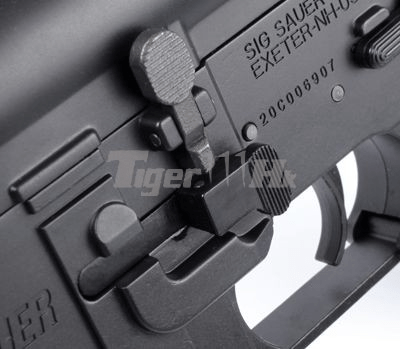 User can buy the Receiver Kit only as they want to bulid up the rifle with their original lower receiver, or they can buy as a fully assembled, stand alone rifle in semi-auto. 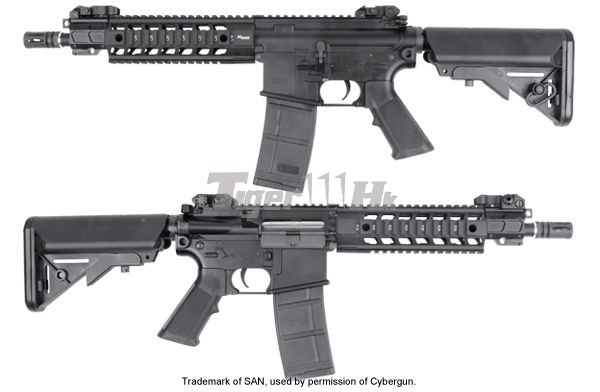 Full-auto version is now available but only marketed to Law Enforcement according to US Law. 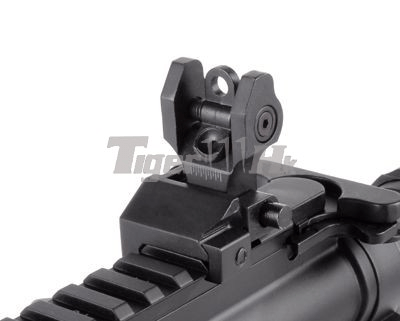 – Adjustable rear sight with “∩” & “4-5” marking. 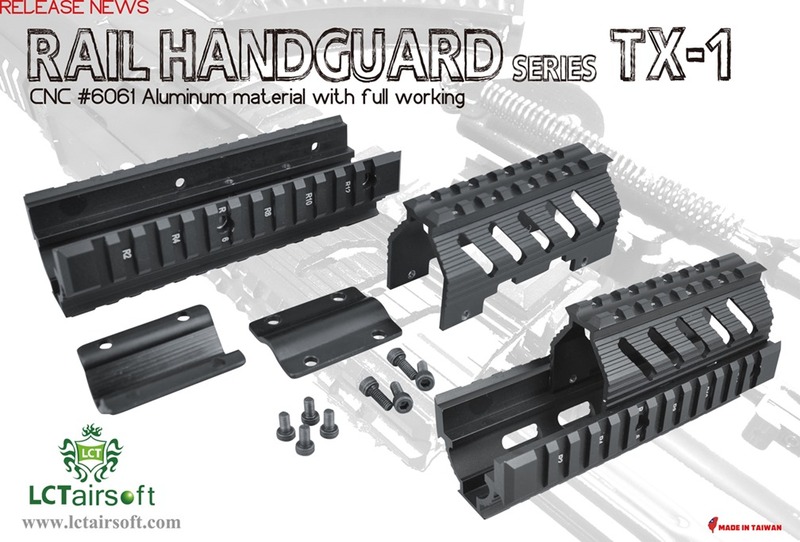 – Included 42 rounds Magazine. 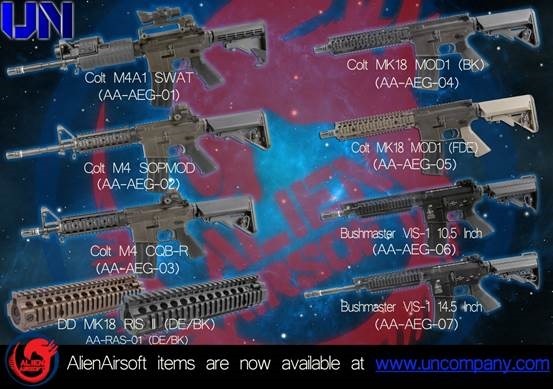 Dear All, Wanna get a FREE Alien Airsoft AEG? Now it’s the Chance. 1,Please go to the link below and like the Alien Airsoft page. 2,"LIKE" and "SHARE" the below link of the facebook thread to your friends. 3,Copy and paste your favorite Alien Airsoft AEG link to this thread and we will randomly select a winner and send him the AEG that he like FOC. 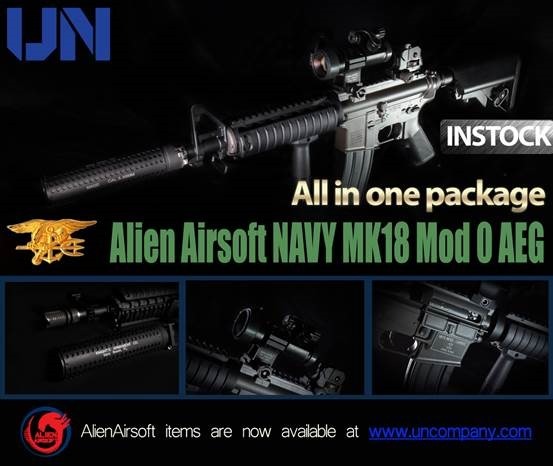 Dear Customers: The All-In-One Full Metal Alien Airsoft Navy MK18 Mod 0 AEG (DX Ver.) is now available at UN Company finally. We are now offering a 12% off discount promotion for website orders. 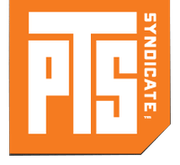 This week at AirSplat – Check out our Labor Day Sale! Get up to 60% Off select Airsoft Items! Also, we revealed our $20 BB Jackpot Box, and more information for our LA Store Grand Opening! Up to 60% Off Select Airsoft Items! Come join use for a chance to win an Echo1 MINIGUN, take advantage of our Doorbuster Deals, and have fun and enjoy good company! RSVP your ticket on Eventbrite today for a FREE raffle ticket! Introducing AirSplat’s $20 BB Jackpot Box!! For $20, you get a chance to win a Socom Gear M9 Hitman Pistol valued at $155! Want UP TO 30% OFF on these guns?! Check out our Elite Membership program! With the Elite, you get 10% off all around, ON TOP of discounts!! This membership lasts for an entire year! AirSplat LA Store Grand Opening! $10,000 Worth of Airsoft Prizes and Giveaways! SEP. 2ND! TD LABOR DAY SALE!! 20% OFF ENTIRE SITE!! Tactical Distributors is rolling out the big guns for Labor Day!! from September 2nd all the way through Friday, September 6th, we’re taking 20% off the ENTIRE WEBSITE!! (some items excluded) plus… FREE SHIPPING on orders of $200 or more!! Get those new items for the upcoming Fall weather. Act fast while supplies last! No promo code needed! Discount will automatically be applied at checkout. END OF YEAR… SPEND IT HERE!! It’s that time again! End of Year… and TD has you covered! End of Year… Spend it here! Our site is open to you 24 hours a day & all of our products are in-stock and ready to ship!! Use your Government Credit Card for all your Tactical Needs!!. SOLIO PORTABLE SOLAR ENERGY CHARGERS. IN STOCK NOW!! TD now carries a great new Solar energy charger: SOLIO. Solio is one of the best available designs for charging modern electronics like smartphones, cameras, tablets and many other USB compatible devices. Great for when off the grid outdoors or when the grid fails. Solio products can store energy for up to a year and are essential for emergency kits. Plug into the sun! All offers Cannot be combined with other offers or applied to previous purchases. Sale is not valid for Clearance Items, EOTech, Aimpoint, Surefire, Fraser Optics, PELICAN, Litefighter or GoPro Cameras. Free upgraded shipping does not include Pelican Cases and oversized items. *Free shipping is only valid for U.S. delivery in the 48 continental states. Not valid for international delivery addresses or Alaska, Hawaii, P.O. Boxes or APO/FPO addresses. GoldenBall has created the perfect balance between performance, quality, and value, seen with their ProSlick, MaxSlick, and BioTac lines of ultra-popular 6mm Airsoft BBs. Unlike generic sporting goods store BB’s, GoldenBall BB’s are seamless and polished and work flawlessly in high performance airsoft guns.GoldenBall BB’s (ProSlick, MaxSlick, BioTac) undergo a rigorous QC [quality control] process before they exit the factory, and specialized domestic personnel meticulously inspect the finished products to ensure they meet the highest standards in terms of polish, density, finish, and performance before they are released for distribution. During Tim vs Bob 5, Game 2, Tim forces had to try and attack and hold the gas station against Bob’s rebel forces. Tim used effective communication and covering fire to accomplish his goal. Remember, using our coupon code "LABORDAY2013" you can save 20% off certain products! The age anyone can play this game depends on the insurance cover that each site has. Most sites in the UK, USA etc accept players from age 14, though many will also accept players as young as 10. I would advise that before playing Airsoft at any site, you make sure it has insurance cover for all players. Always wear eye protection when using AIrsoft guns, even if you are just playing in your backyard. Airsoft guns are non lethal, no-one has ever been killed or seriously injured using these. It is not possible to convert these guns to fire anything other than little plastic BBs. Above all, Always play safe. 1 of over 400 Airsoft videos by Scoutthedoggie. New videos﻿ are added every Tuesday & Friday, so subscribe. Over 70,000 people follow Scout on Facebook & Twitter @YouTubeScout. Below﻿ all videos you will see the words "SHOW MORE" Click them for more information. There are links﻿ to Scouts Facebook & Twitter pages, plus the latest video playlists. I take a look at the new America’s Army: Proving Grounds. Does it maintain it’s tactical edge, or is it just another run of the mill FPS? Lets find out! Nudos Decorativos Con Paracord by J.D. Lenzen – Próximamente! Libro: http://tinyurl.com/ph92jhf y http://tinyurl.com/kvv29gr : Nudos Decorativos Con Paracord: Explicados paso por paso con fotografias detalladas de cada uno. Este libro cambiará definitivamente la imagen que tenemos del paracord. Utilizado originalmente en las cuerdas de suspensión de los paracaídas, el paracord se convierte, en manos del autor J.D. Lenzen, en un medio de crear una enorme variedad de artículos prácticos, utensilios de supervivencia y nudos decorativos. El autor es conocido mundialmente por sus técnicas de realización de nudos (su canal en YouTube tiene más de 2 millones de visitas desde España) y en este libro guía de manera experta a los lectores a través de cada nudo, con claras y nítidas fotografías en color, junto con breves instrucciones paso a paso fáciles de seguir. Для всех любителей мистического и брутального. Светильник сделан из листового металла. Выдерживает неоднократное разжигание костра внутри. Если вам нужно создать антураж брутальной или мистической вечеринки – лучшего варианта вы не найдете. Here are the links to all the info covered in this Operation Small Business airsoft video. [pl] Test nowych kulek od Gunfire – Rockets Platinum Series. Dają radę. 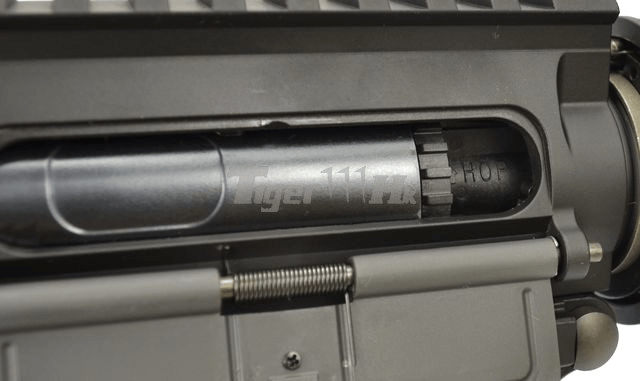 [eng] A test of latest airsoft ammunition from Gunfire – Rockets Platinum Series. Not bad. 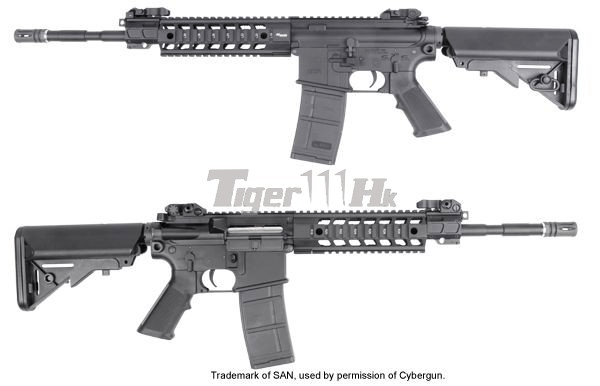 Be noticed, this is a stock rifle (King Arms Colt M4A1 RIS Gas Blowback, KA-GBB-06) without any kinds of modification. This was the first game we played that day, and awesome game of TAG! Please read rules at the start of the video. Filmed with a Go Pro Hero 3. Airsoft GI – Use "LABORDAY2013" and get 20% off* your purchase at Airsoftgi.com! For a limited time only, you can use our coupon code "LABORDAY2013" and get 20% off*. 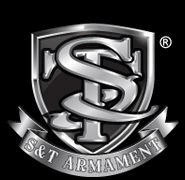 You can get great discounts to a variety of products such as tac gear, extra gun accessories, and a variety of guns. 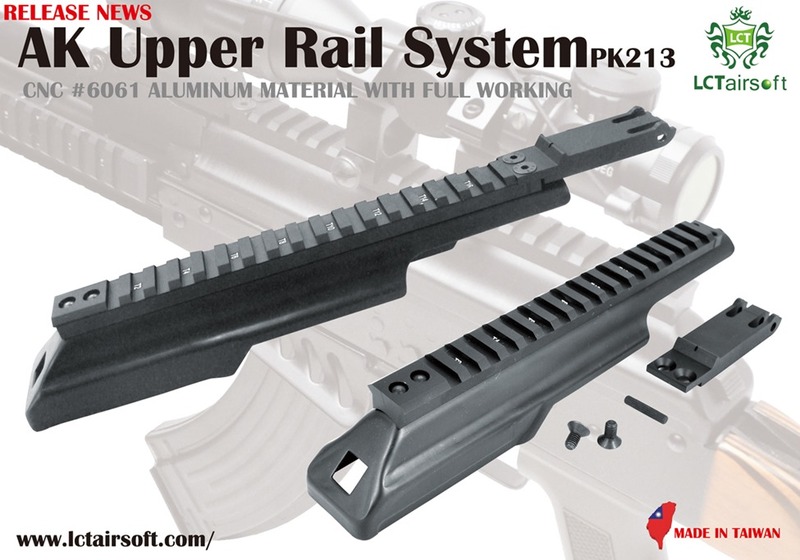 Be sure to check it out at www.airsoftgi.com! 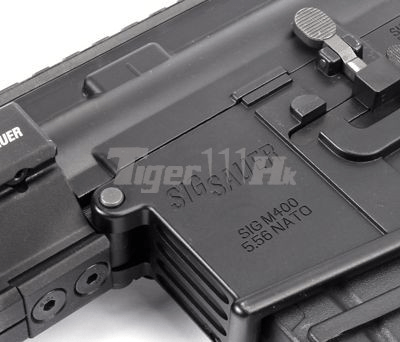 We are back at CQB City with this review of the AEX Mk18 Tactical AEG. This compact gun worked extremely well in a semi auto only environment! Check it out and click the link below to pre-order it today and SAVE 15% OFF! 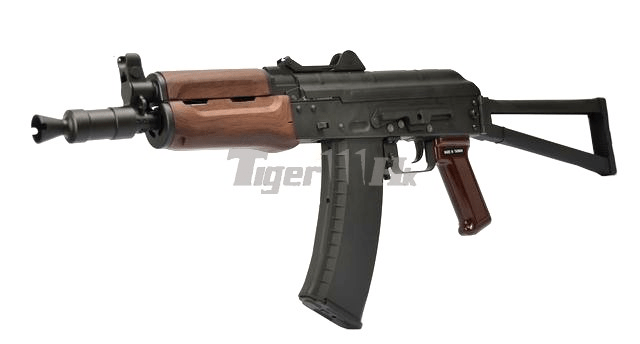 Elite Force HK SL9 Full Review – Two Guns for the Price of One! We dig deep to review the HK SL9 by Elite Force and find that there’s more than just a sniper rifle buried under the hood. Watch and see what we found. Shooting the KWA LM4 GBB Rifle in (mostly) semi-automatic with some speed/emergency reloads. Not as fast on the reloads as you might be with a live firearm since you can’t just launch the mags off on to the floor and I’m using a dump pouch here, but not too bad I think. Filmed using the Pivothead ‘Recon’ video glasses, which unfortunately have the problem of pointing the in-built camera directly at the upper receiver when the shooter actually attains a proper sight picture through their optic. Labor Day Sale – 20% OFF ALL Hazard 4® / Civilian® products. Special offer good from 12am (PST) August 31 – 11:59pm (PST) September 1, 2013. …And many more. Hurry, before this special offer ends! Bob the Axe Man will be assisting our Customer Service Dept all day Friday 08/29/2013. If you have any questions feel free to call our customer service tomorrow and there is a possibility for you to speak to the Axe Man. Hi friends! Here’s our latest production for GUNFIRE POLAND! For the end of the summer, especially for you! Quantity of products is very limited, you have to be quick! Starting tomorrow (30.08) one minute after midnight! 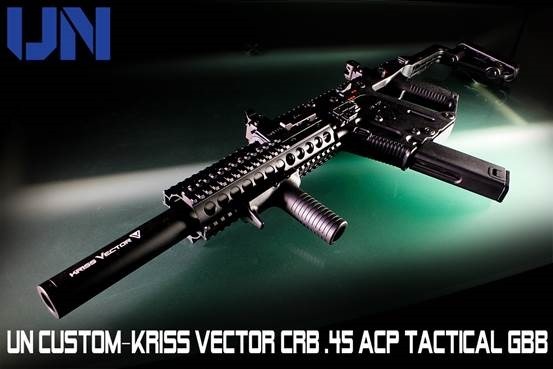 Dear Customers, Tokyo Marui Biohazard Samurai Edge A1 Jill Valentine Model(2013 Limited), KSC AKS 74U Gas Blow Back(System 7 II)(Taiwan Version), King Arms Thompson M1928 Chicago Electric Blow Back AEG and other new accessories are released.All airsoft lovers, please go to our website to check our latest product. 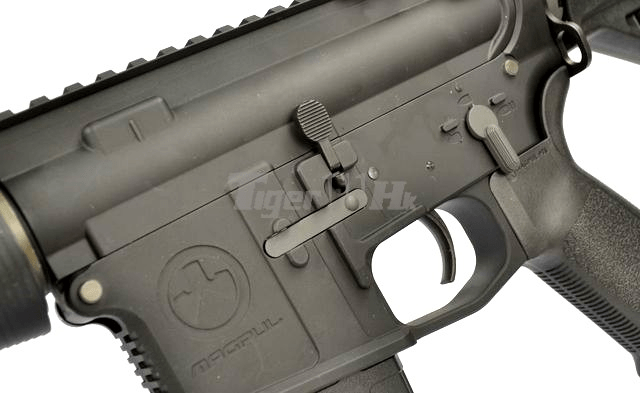 Magpul PTS release the MOE RM4 ERG, ERG means electric recoil gun. 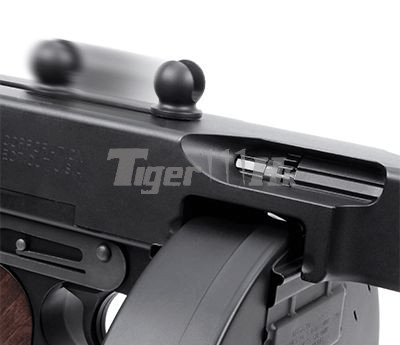 The gun will have strong recoil feeling during the shooting, also the unique system will available push the last bb up into the chamber and stop the firing when magazine is empty. 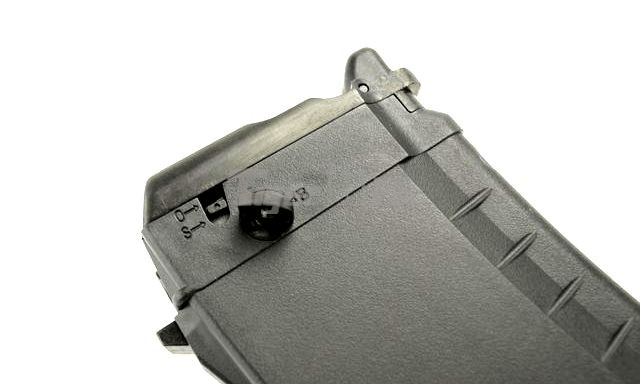 The magazine is easy to select from storage 30 / 60 rounds. 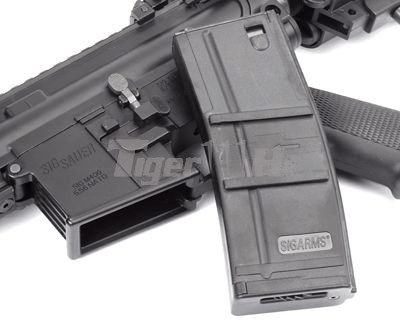 The gun still available to use the normal AEG magazine, but the stop firing when empty function will goes off. 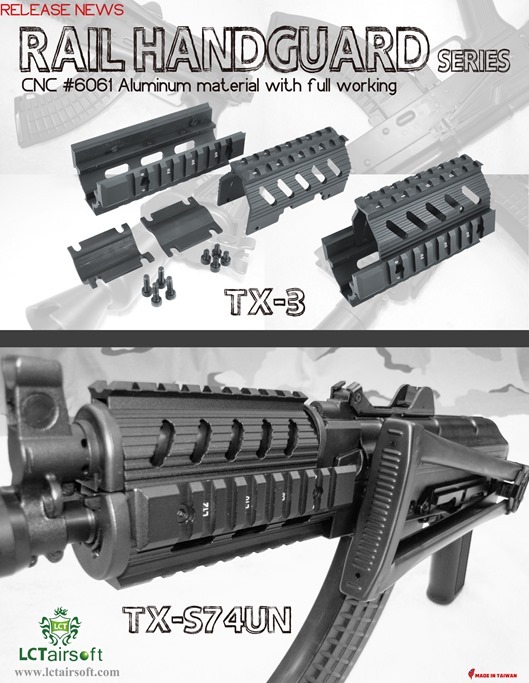 The Dynamix Version pre-install the Aluminum bolt carrier and the latest type of loading nozzle. Make the gun more durable. 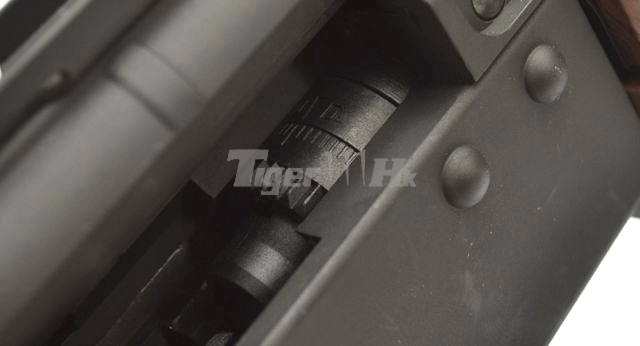 The aluminum bolt is lighter weight than the original bolt makes the rate of fire increase, and better reaction on the single shot. 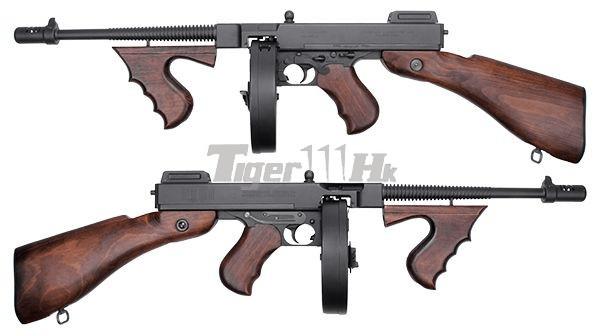 King Arms release the new version of the M1928, the famous “Chicago typewriter”. 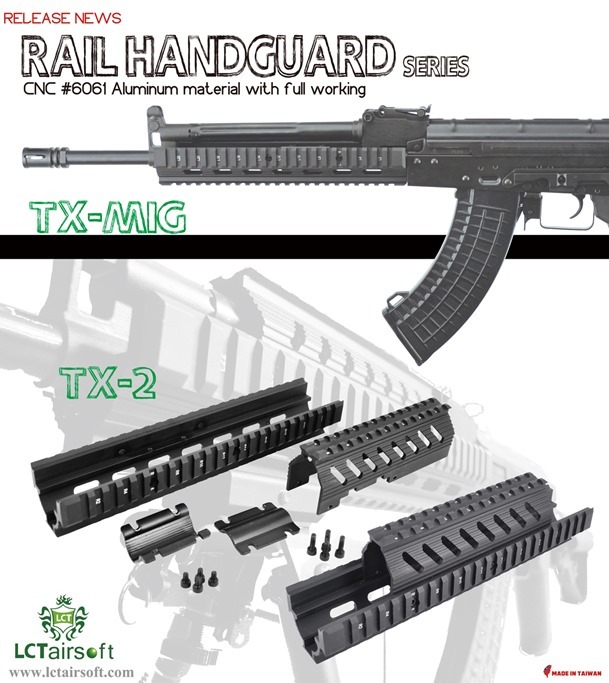 King Arms made it on full metal and wood , also correct the upper receiver to the right one and got the licensed marking from Saeilo Enterprises Inc make it same as the real steel. The gun comes with 450 round Drum Magazine. Player who love this gun must not miss it!! Player who wish to have a unique AUG, this may what you need. 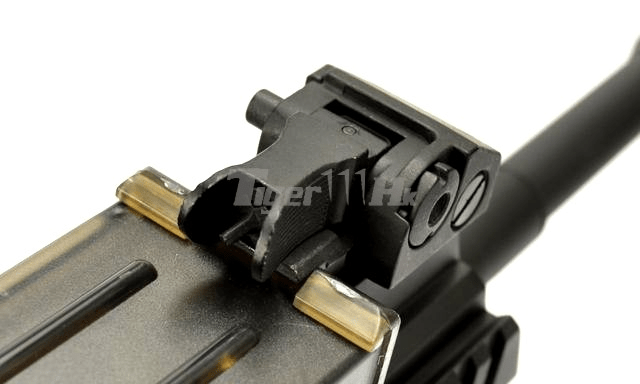 The ACE release the A3 version of AUG, preinstalled Phantom-II Kit on the base of the JG AUG. 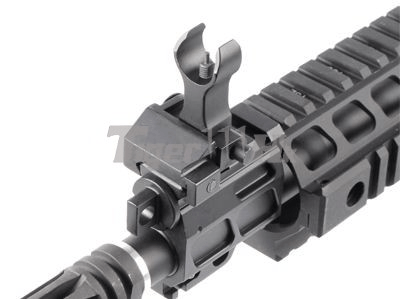 This gun is save the time for modify from conversion kit. The Grange is proud to announce that we are now the UK PolarStar dealer, stocking a range of rifles, fusion engines and all necessary components. All PolarStar Rifles and Fusion Engines supplied by The Grange are pre-fitted with the green air nozzles giving you the choice to set your guns FPS between 300 – 360, in other words UK site legal out of the box. 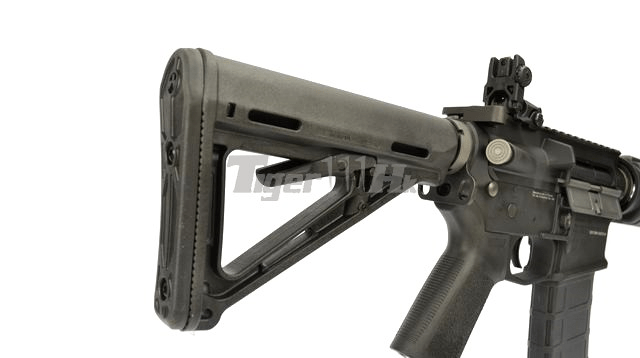 Dear customer, King Arms M4 GBB, one of your best collection! The Version 6 Mini Battle Star Mystery Box will be going live on Thursday 08/29/2013 @ 6:00PM PDT. Featured in this mystery box is the Magpul RM4, G&G M14, Kriss Vector, and more. Use the coupon code ‘laborday2013’ to save on your next mystery box order.